The rifle is a modified mauser action with a specially-designed match grade conical barrel in two lengths: 56 and 61 cm, using a unique and proprietary multi-radial twist. It has a 3- and 6-round magazine. The adjustable stock (for both lengths and heights) is made from a special mix of polymers so that it maintains rigidity while having a lower weight than wood or other rigid polymers. All metal parts of the rifle, including the barrel, are nitrided using a unique process that also increases corrosion-resistance and barrel life. 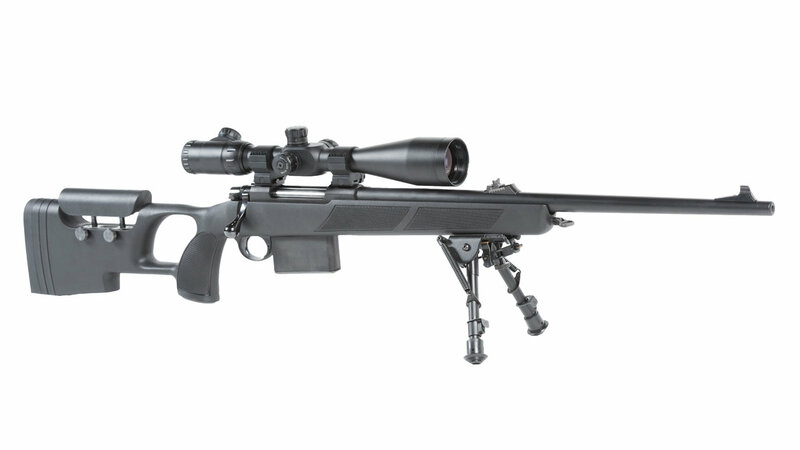 The rifle is currently available for target shooting at 300 m, 600 m, and 800 meters. In addition, it can be used for hunting medium to large game.